I have a dog and four cats. The dog is the newest addition. She joined our pack as a 4 month old puppy and considers herself another one of the cats. The cats disagree. The dog even sits in the windows like a cat. I used to correct this behavior because I didn’t think the window shelf in our old residence would support her. I gave up because she doesn’t understand why all the other cats get to sit in the window! As you can see, she also thinks cat beds are fair game. 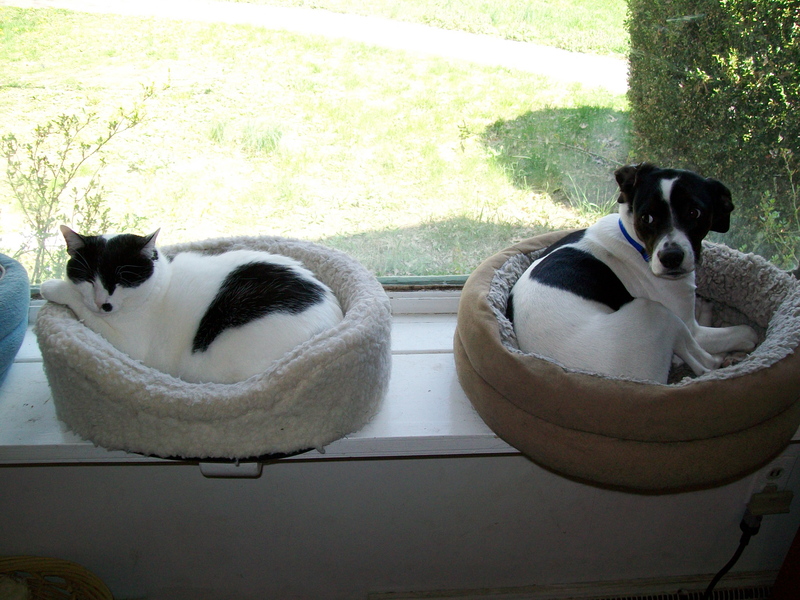 This would be fine except the cats reject the beds after she takes them over. This brings me to my mission: Create a dog-proof cat haven. 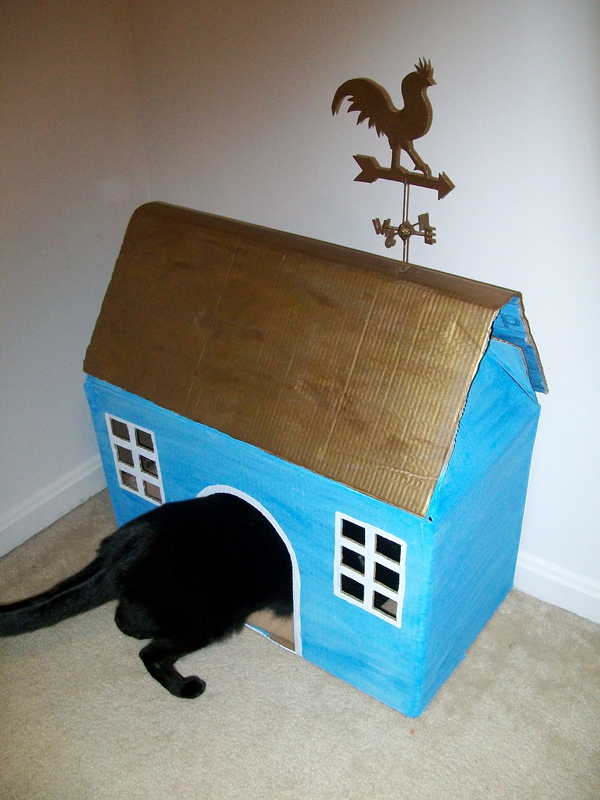 I saw this cat house in a Martha Stewart magazine a long time ago and kept it in the back of my mind. This cardboard box found it’s way into our home a few days ago and Mango immediately took a liking to it. I thought it was the perfect opportunity to make that haven! Remove any tape or other ickiness from the box. Carefully pull apart the side and bottom seams and glue the box back together inside out leaving the top open. This will save you from having to paint several layers over all that writing. This part is probably going to come across as confusing, but I will do my best to explain it. (Note: Feel free to scrap my roof idea and create your own. I will not be insulted.) This is where we work on the top flaps to make the base structure for the roof. Fold the sides of the shorter flaps at an angle towards the inside of the box(I drew a line in pencil first). Glue these folds to the inside of the longer flaps so the top edge of the shorter flap is the same height as the top edge of the longer flap. 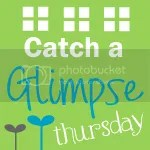 Make sure you leave enough space in between all of the flaps to have access to the inside of the finished house. Pictures will probably help. Time for the roof. 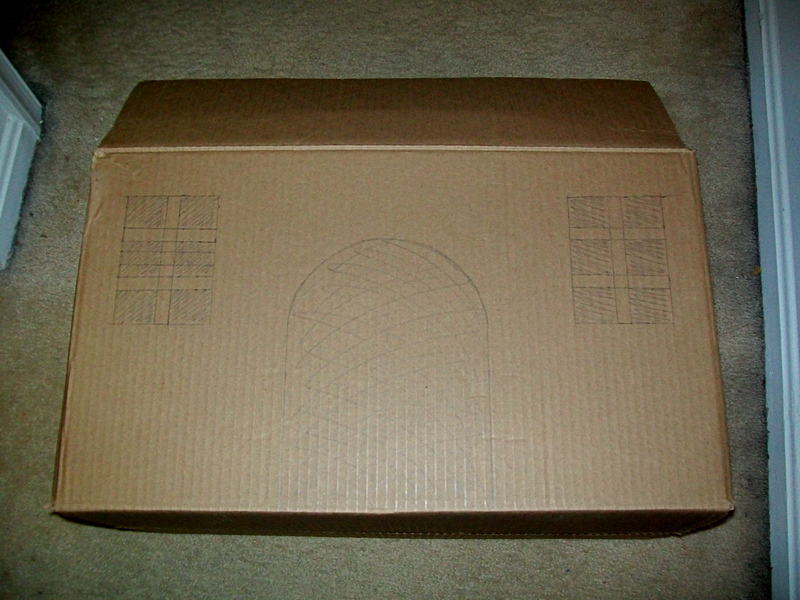 Cut a large piece of cardboard as long as the box. 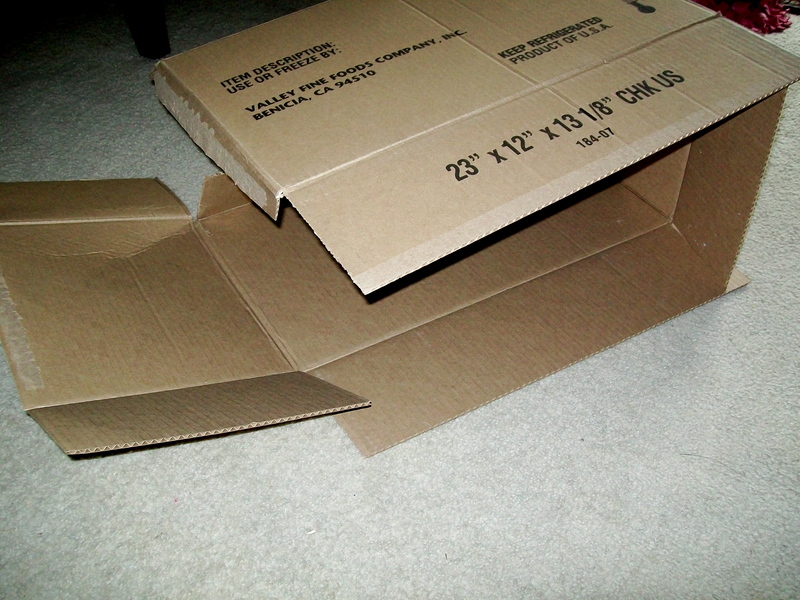 When folded as a tent, this cardboard needs to reach from the bottom of one longer flap to the bottom of the other longer flap. Basically, this cardboard tent needs to sit easily on top of the box so you won’t be able to see the longer flaps anymore (they are just for support). Feel free to piece together multiple pieces of cardboard. My cardboard came from a long skinny box, so I chose to keep the skinny side of the box for the top edge of my roof. Cut a rectangular piece of cardboard large enough to fill the gap in between the shorter flaps and the roof. Fold the edges at an angle like the flaps in step 2. Glue the pieces in place on the inside of the roof. Do not glue the roof to the box. This will be your access point to the inside of the finished house! 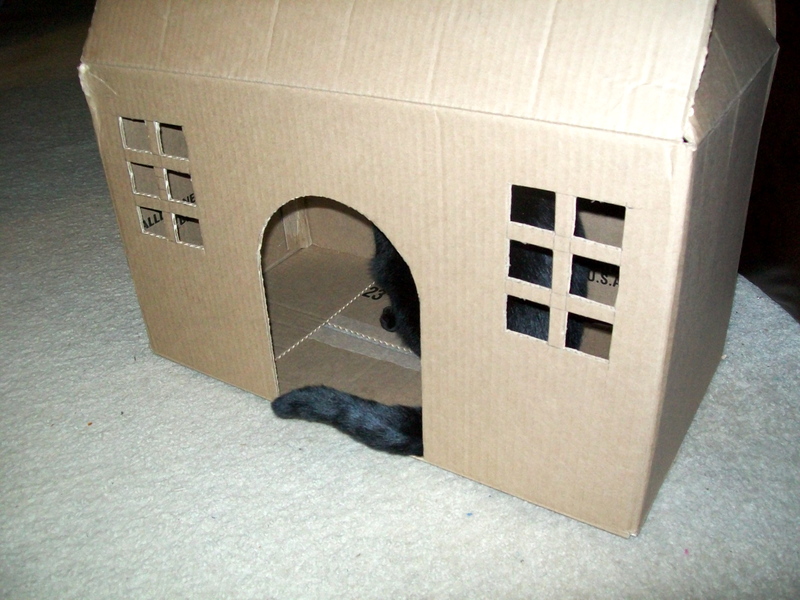 Draw a door on the front of the house large enough for the cat. Mango is pretty tubby, so her door is on the larger side (but, not big enough for the dog). You can draw windows too! 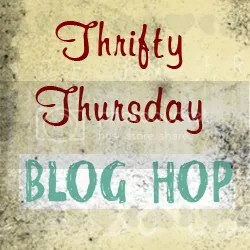 Use a utility knife to cut out the door and windows. Be careful with this step…these knives are really sharp! Let kitty check on your progress. Paint the outside of the house as desired. 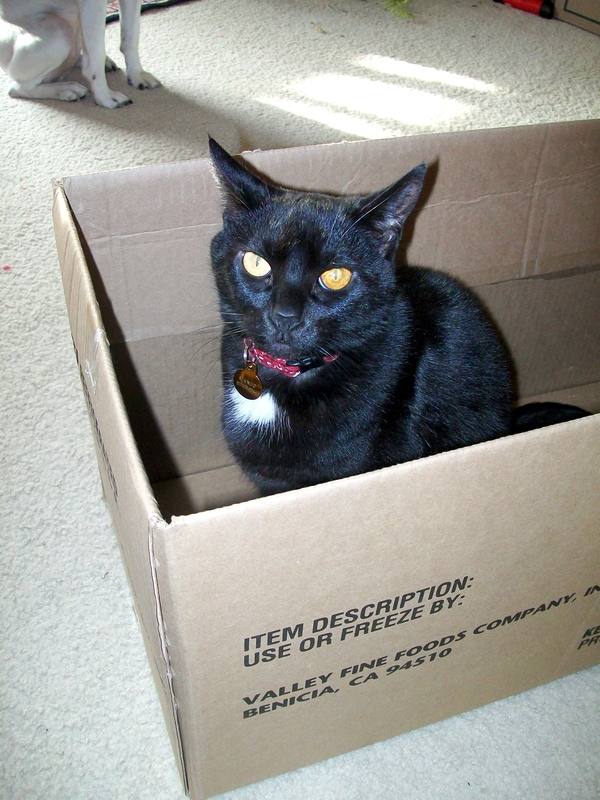 You may want to skip this step if your kitty happens to eat cardboard. Mine doesn’t. 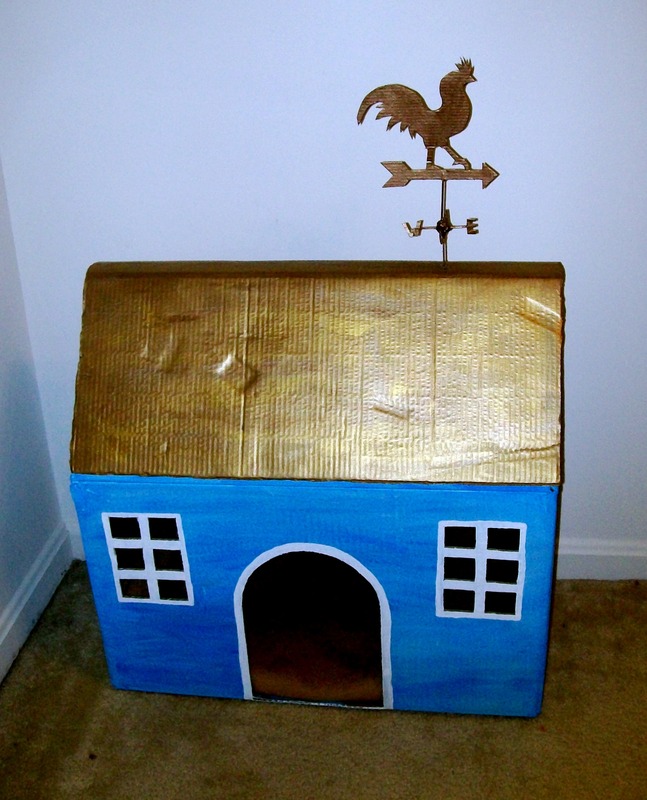 I chose light blue with dark blue streaks for the sides and a mixture of silver, gold, and bronze for the roof. 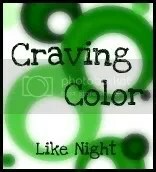 I’m not a big fan of one flat color…can you tell? Give me a little texture any day! Decorate the house however you want. 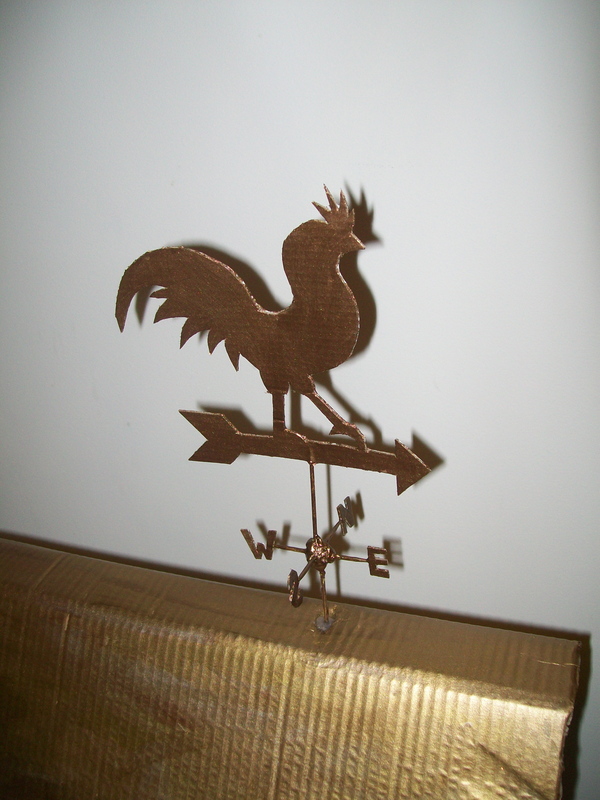 I made a rooster weather vane for mine! Look below for directions on how to make it! Add a cat bed or blanket to the inside and you’re all set! I’m not going to go into great detail for this part, but I will give a brief description. I used thinner corugated cardboard, 4 toothpicks, tiny ball of yarn, hot glue, and bronze paint. Draw out a rooster standing on an arrow onto the cardboard. Also draw an E, W, N, and S. Use a utility knife to cut these out. Stick two toothpicks through the ball so they are perpendicular and the ball sits in the middle of the four ends. Stick the end of one toothpick in the bottom of this ball and the end of the last toothpick in the top of the ball. Thoroughly coat the ball with hot glue and allow to dry before continuing. Apply a small amount of glue to the ends of each toothpick except for the bottom one and put the cardboard pieces in the correct places (rooster on top and letters in compass order around the four shorter points). Paint the entire weather vane with bronze paint. Stick the bottom toothpick into the roof of the house. Use glue to secure. I needed to use a nail to start the hole in the roof and I added a few cardboard pieces to the inside of the roof for additional support for the toothpick. This is adorable!! I love how your pup sits in the windows like a kitty!!! Nice job, K!!! your cat seems smitten with the new home. 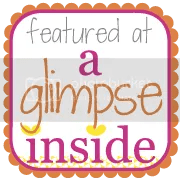 this would be great for toddlers too!